Pushed by increased consumer demand and global competition, manufacturers have zero tolerance for interrupts to their essential power and telecom services. Power and telecom utilities must deliver services that are even more reliable then ever. Anything less then 100% up-time is unacceptable. Utility companies are faced with the formidable challenge of driving operating costs low and adhering to regulatory safe and reliable operating practices, while at the same time providing customers with maximum availability and responsiveness. The solution is high performance, scalable, and reliable automation and control systems designed by a reputable integrator. Manco has a wealth of knowledge in all areas related to the automation and control of power generation, substation, and telecom communication centers. Manco has extensive experience providing automation and control products and services to power utility companies and their customers. We have designed and installed control systems for emergency back-up generator stations, industrial power plants, and generating stations. Our automation, industrial control panel manufacturing and our instrumentation capabilities provides our customers with a single source of supply.. This ensures quality and dependability are built-in to all of our installations. To remain globally competitive, manufacturers must control and reducing operating costs. Energy reduction is one of the primary goals. Effective monitoring and control of the power quality can help increase equipment life, improve productivity, and increase profits. Successful companies are installing energy management automation infrastructures that permit them to regain power over cost escalations. Manco has been assisting our customers realize energy savings with custom engineered demand monitoring and load shedding control systems. Our experience also includes integrating on-site power stations with the primary automation backbone for enhanced monitoring and control. We have developed extensive reporting systems to enable our customers to target opportunities for energy savings. Today, it is critical that Telecom service providers provide their customers reliable communications. They must provide such service while escalating competitive forces and demand for reduced operating costs. 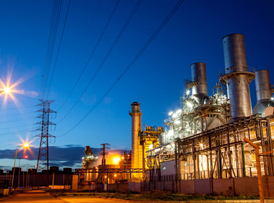 Manco has years of experience providing cost-effective and reliable automation and controls solutions for Telco power stations. Our systems are based on open architecture, scalable solutions to reduce our customers’ total life cycle cost of investment.